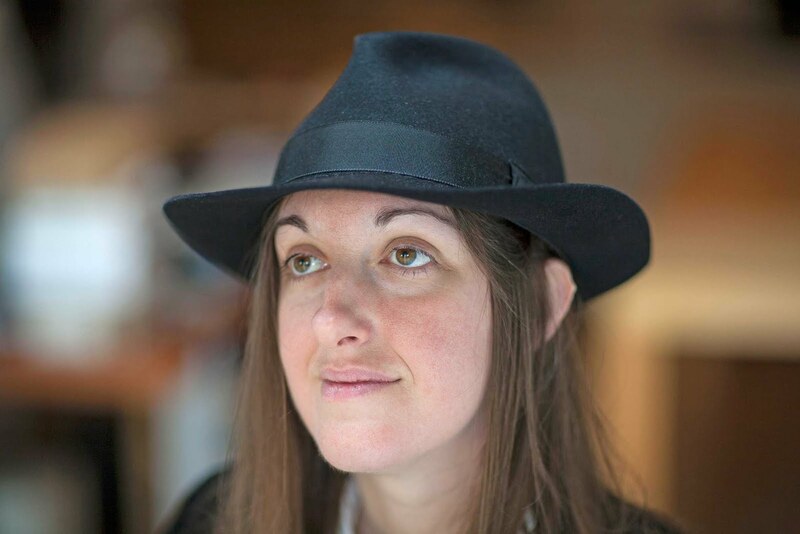 Frances Hardinge shares her words of wisdom on the writing process, the importance of carrying a notebook, and tea with Jools Abrams. 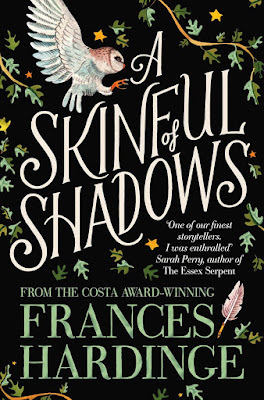 Frances Hardinge is a multi-award winning author and well known to SCBWI peeps (she talked at the Undiscovered Voices 2018 launch party). Among her many works are the beautiful Victorian murder mystery The Lie Tree, illustrated by Chris Riddell, which won the 2015 Costa Book Award, and A Skinful of Shadows, illustrated by Aitch, which was shortlisted for the Waterstones Book of the Year 2017. 1. Inspiration – where do your ideas for a story come from? Hunter or gatherer? I'm definitely a bit of both. A part of my brain is always in 'gathering' mode, looking out for fragments of inspiration in places I visit, things I hear or read, anecdotes I'm told and people I meet. It's a bit like a deranged magpie looking out for shiny scraps of story-stuff. I also find that my brain absorbs a great deal of material that I don't think of as story fodder until ideas unexpectedly surface some time later. A half-idea may lurk in my brain for ages before it finally encounters the other half-idea that will make sense of it, bring it to life and set my imagination working. On the other hand, I'm also a conscious 'hunter'. I'm insatiably curious about almost everything, so I'm naturally inclined to run around seeing new places, trying new things and learning anything I can. I would probably be doing this even if I wasn't a writer, but these days I'm aware that this is potentially an opportunity to stock up on story ideas. Like a lot of authors I carry a notebook, so I can always jot down any quirky details, new discoveries or entertaining experiences I might be able to use in my writing. 2. Are you a plotter or a pantster – is there method in your process, or do you fly by the seat of your pants? I'm definitely a plotter. I always feel a need to flesh out my settings at an early stage, whether I'm researching a historical period, or coming up with a fantastical world. Until I know how the setting works, I don't feel that I truly understand my characters. People are shaped by their environment, and the plot is shaped by the people in it. Before I start writing, I like to know the main things that will happen in the story, the character arc of the protagonist, and what the ending will be. I tend to write stories with a lot of twists, turns, mysteries and revelations. I need to know what's going to happen when, and what the hidden secrets actually are, so that I can insert the clues, red herrings, suspicions and bombshells in the right places. Having a plan really helps when I run out of momentum and enthusiasm. Even when I lose morale, at least I still know where the story is going. 3. Shed sitter or café dreamer? Where do you write? I have an extremely scruffy study upstairs which doubles as a storeroom. It's full of boxes of books, files, wrapping paper rolls and other random clutter. There are festival lanyards draped over one of the cupboard door handles, and some water-pistols hang on the door behind my chair. The window looks out on our garden, and a small park beyond. West London has a surprising number of feral parakeets, so it's not unusual to see a few of those flying past outside. 4. Do you have any artefacts, mottos or words of wisdom by your desk? To be honest, it's a bit hard to tell. My desk is an embarrassing mess of post-it notes, pens, things that I've left on the desk so that I have to deal with them instead of forgetting them, at least one plastic dinosaur and other oddments. Any words of wisdom I might have had on my desk are pretty thoroughly buried by now. I do have a picture of Emma Peel from The Avengers on the door near my desk, though. That might count as motivational. 5. Target word count per day or as and when it comes? To my embarrassment, my productivity varies massively. A daily word count seems like an excellent idea, and I do sometimes try to keep to one, but I don't appear to be very good at this. Imminent deadlines definitely boost my productivity. 6. High days and holidays? Do you write seven days a week, or weekends and holidays off? I aim for nine-to-five, Monday to Friday. This is partly because I want to be free at the same time as those of my friends who have more sensible jobs. Since writing is an isolating profession, my social life is very important to me, and I like to keep it active (or even hyperactive). As I say, I aim for this. However, I quite often miss, and the degree to which I miss varies quite a lot. In practice, I will sometimes end up working on weekends, or late into night. On other occasions I'll break up a week day with a walk to sort out my thoughts, or a trip to research something, or some other kind of expedition. 7. Quill or keyboard? Pen or technology? Technology! I don't write up first drafts by hand, or anything like that. I type them straight into my computer, and my brainstorming documents, outline planning and research notes are all Word documents too. However, I do carry around a notebook and pen to jot down ideas when I'm on the move. I also sometimes use scribbled post-it notes for timeline planning, and cover a table with them so that I can visualise and adjust the order. Occasionally, when I'm trying to sort out the geography of a setting, I'll even draw little biro maps to help me keep things straight. 8. Music or silence to write to? I'm not really a chocoholic, but I like chocolate, particularly if it's dark (70-85%, ideally). If I'm working late into the night, some sort of snack does help me push through. I'm definitely not averse to wine, but I don't usually drink it while writing. However, once or twice I've had a small glass before plunging into some particularly painful edits. It helps me to be less hesitant and more ruthless. Most of all, however, I rely on tea. There are happy moments of revelation, but these often come after I've been wrestling with a plot knot for a while. There are moments when the writing just flows, but I tend to reach these after days where I feel like I'm struggling through treacle. Inspiration is often earned through perspiration. 11. Where do you find the muse? Any techniques for inspiration? I'm not convinced I have a muse. If I do, she has to be bribed with caffeine and beaten into submission with deadlines. I find that belonging to a small writers' group helps a lot, not just because of the valuable feedback, but because the meetings provide a regular deadline. Having a lot of variety in my life seems to help, and I usually come back from travel with lots of new ideas. Sometimes I just need to get away from the computer screen for a bit. Now and then I go for a ten-mile walk, just so that I can think things through and untangle plot knots. I also create a lot of brainstorming documents, in which I chase various ideas in a stream-of-consciousness fashion to see where they go. 12. Do you ever hear your characters’ voices in your head? Have you ever seen them in real life? I do hear some of my characters rather clearly in my head! They're usually the ones who are easiest to write. Others are more elusive, and have to be coaxed out. I don't think I've ever seen one of my characters walking about in the real world. However, I might not have recognised them. I know the insides of their heads better than their outsides. I do include some physical description of my characters in the books, but personality tends to dominate. 13. If there were one piece of advice or wisdom you could impart to other writers about the craft of writing, what would it be? No writing is ever wasted. Even a piece that never sees the light of day teaches you new things about your craft, and may be a stepping stone to your best work. Find out more at Frances' wonderful website. 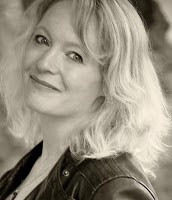 Jools Abrams is an award-winning writer of short stories for children and adults. She writes middle grade and YA and ghost writes memoirs. Jools is also a qualified primary teacher, currently working at English Heritage, cat wrestler and parent. Love reading about how other authors write. It is really reassuring to know that there is no right or wrong way, just your own way. Frances Hardinge's books are amazing. 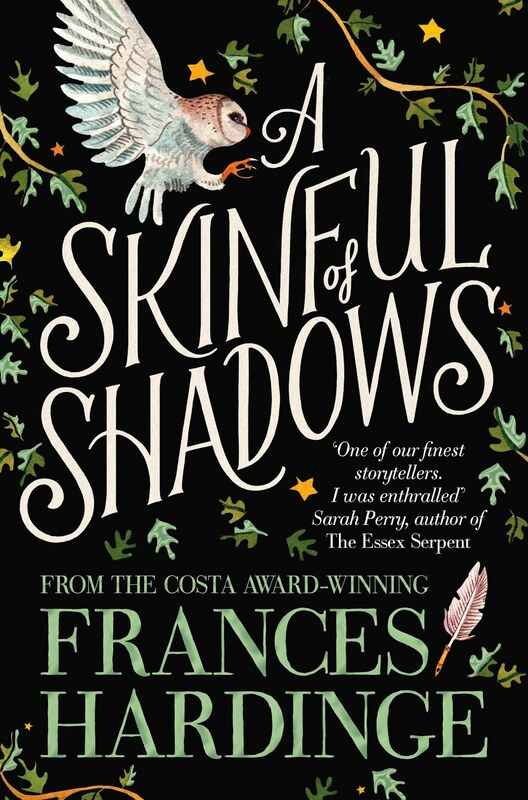 I still have my signed copy of A skinful of shadows that I picked up at the Philippa Pearce lecture. I'm saving it for a big binge read! Great article - thanks.